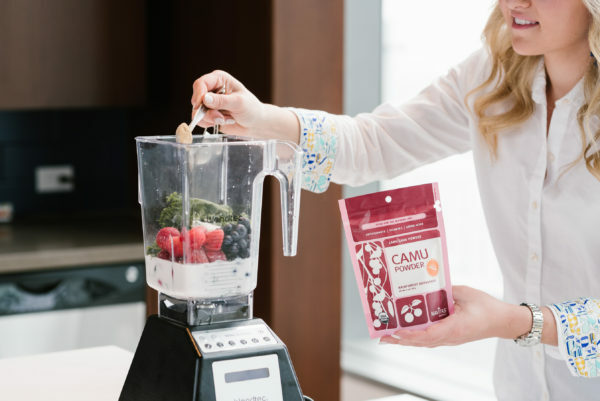 Smoothies have become my go-to afternoon snack for packing in a ton of added nutrients and supplements the last few months! 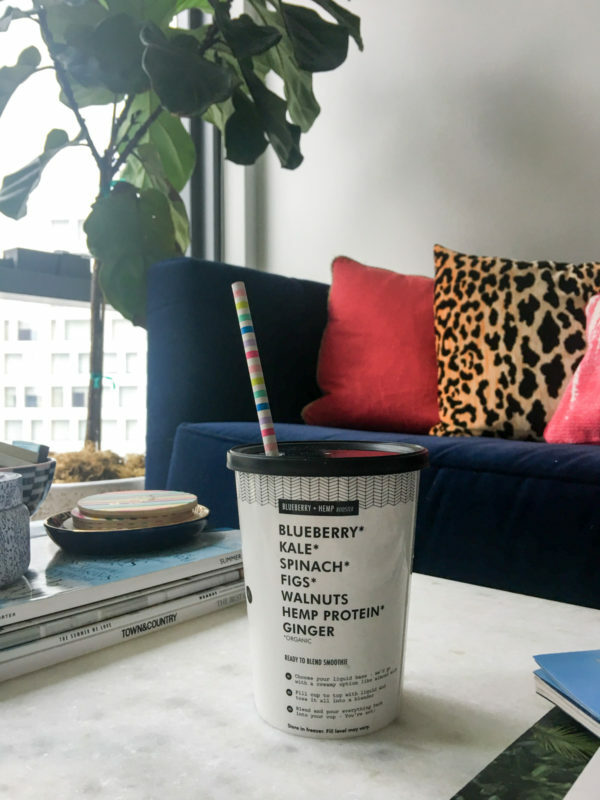 Smoothies have always been one of those almost-daily splurges for me… NYC had so many great smoothie places and it was such a nice treat post-workout. Or if I needed a snack or a little afternoon pick-me-up, I’d always opt for a smoothie because well, they’re healthy! Joyful Almond, add spinach, no agave at Juice Generation is my JAM. But that $9.74 (how I still remember that is embarrassing… ) adds up when you’re going multiple times a week. 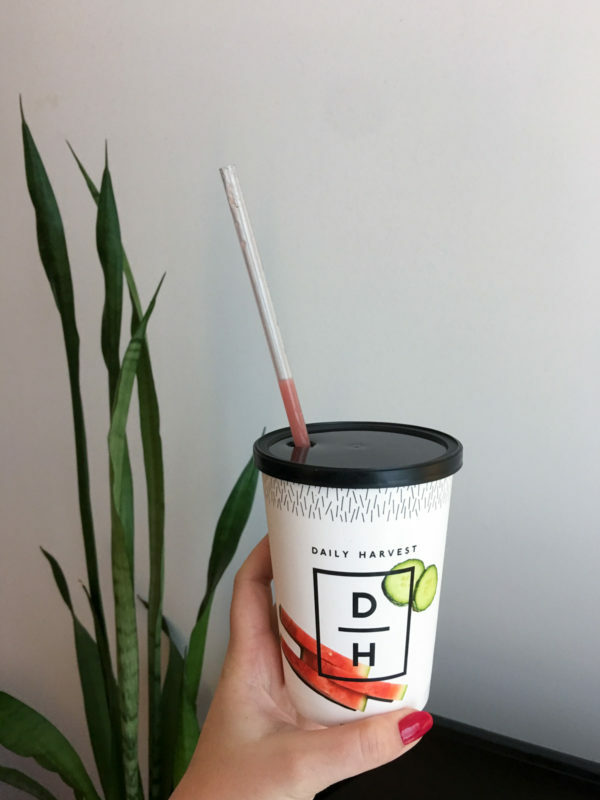 Real Good Juice and Hi-Vibe are two of my favorites in Chicago, but when RGJ was becoming part of my daily routine, I realized that $11/day would be better put towards a good blender and making my smoothies at home. 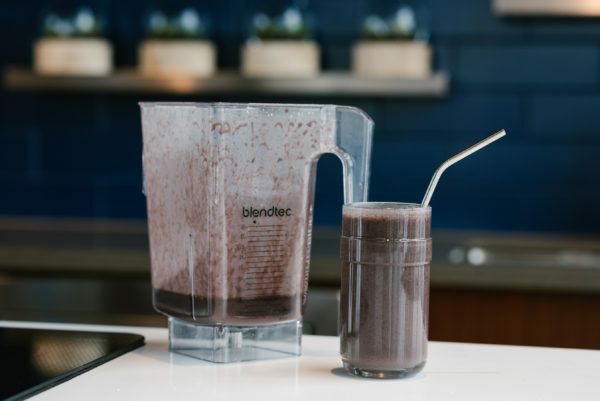 I invested in a Blendtec and can’t believe I waited so long. 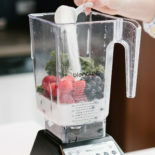 I was between a Blendtec and a Vitamix and I don’t think you can go wrong with either, to be honest. 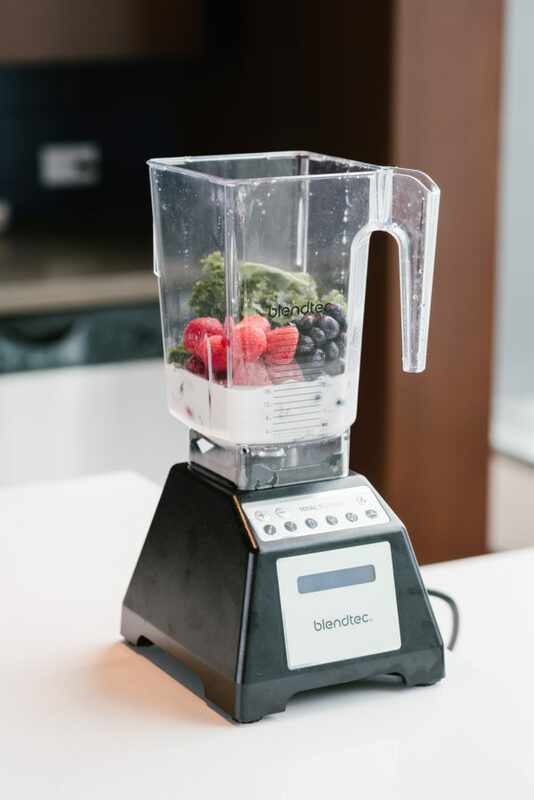 But I chose the Blendtec because the blades aren’t sharp (I’m accident prone) and the jars are dishwasher safe. The second point is kind of moot because I use it every morning for my coffee and again in the afternoon for a smoothie so I actually end up hand-washing it twice a day. 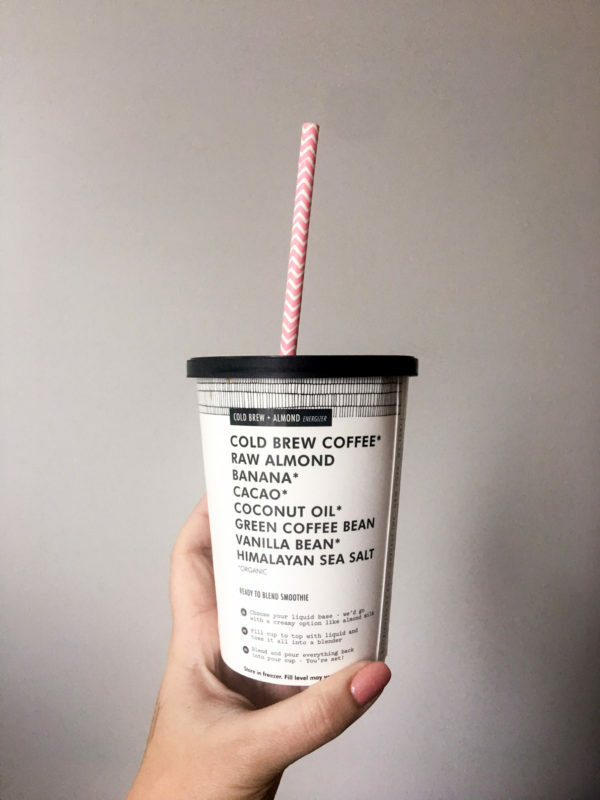 I DIY my daily smoothie at Real Good (I hate bananas and practically every smoothie on the menu has banana as an ingredient) and it took me longer than I thought it would to get the measurements and consistency right. 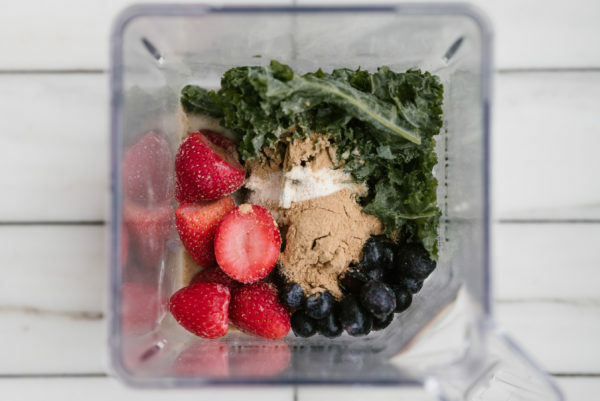 Spinach, strawberries, blueberries, almond butter, almond milk, camu camu, and plant protein… Harder than it seems, trust. I like thin smoothies so I use a lot of liquid, fyi. Use less and work your way up to see what’s best for your taste and texture preferences! 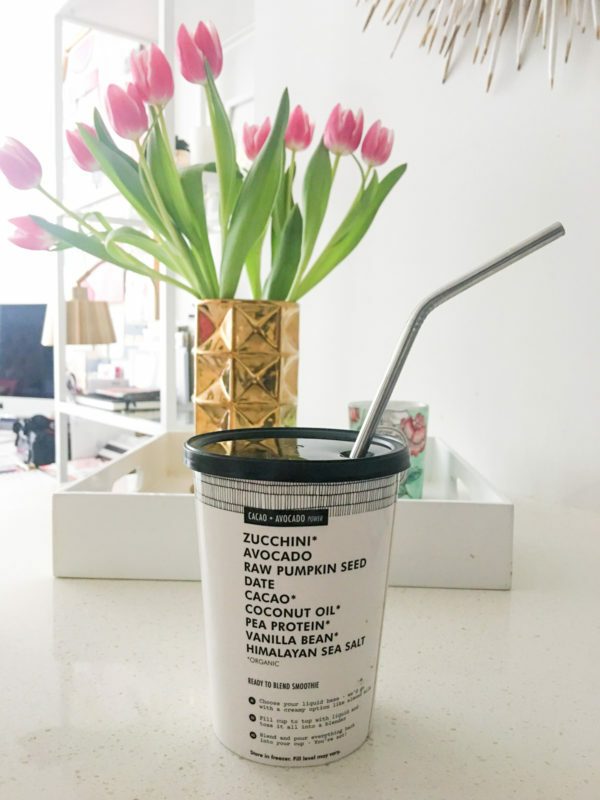 I use about 10-12 ounces of liquid and split it between almond milk and water, but you could try it with all water or all almond milk, especially if you need more calcium. 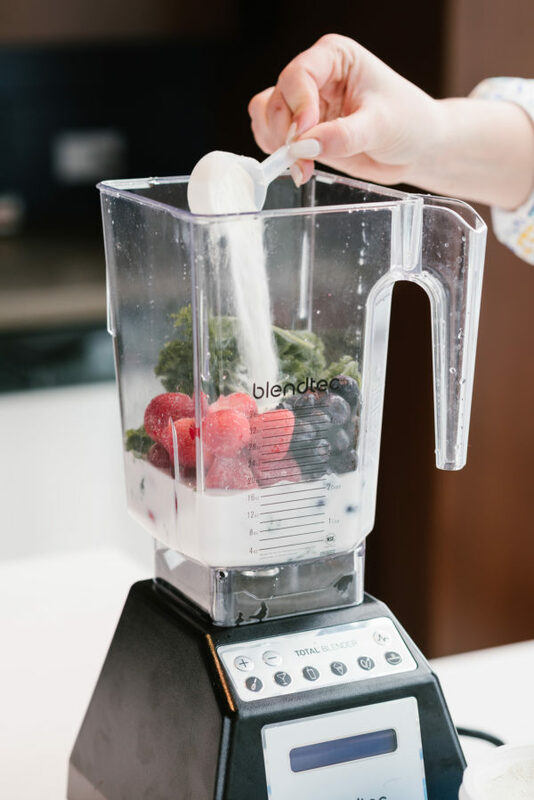 A few tips… I run my blender’s smoothie setting twice for a total of 120 seconds of blending to get a super smooth consistency. 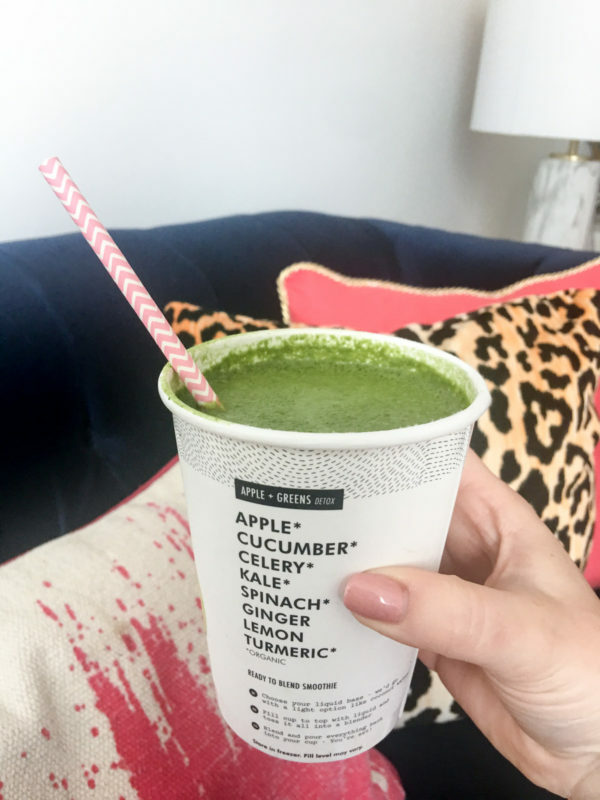 If the kale is too strong for your smoothie taste, try spinach instead! 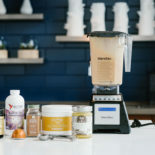 Like I said, I add a little bit of extra liquid because I like mine thin, and also because I always add a ton of different supplements to mine for health and wellness benefits. 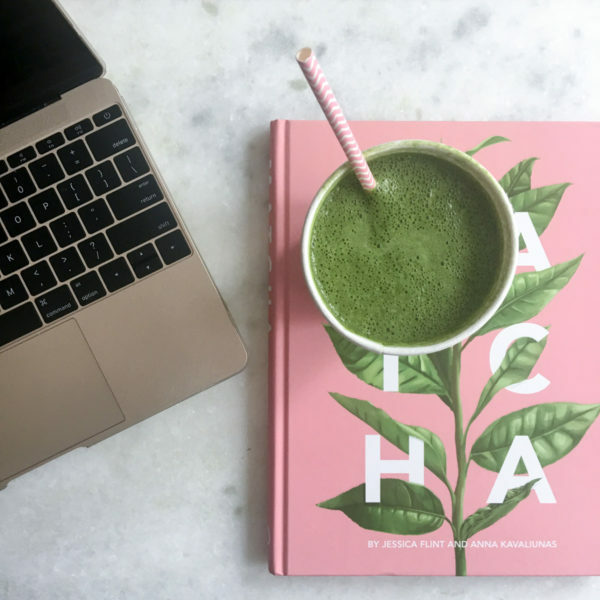 Collagen, Chlorella, Mucuna Pruriens, Moringa, Astragalus, Ashwagandha, Reishi, Camu Camu, Maca, etc. I’m doing a whole post about these and more in a few weeks! 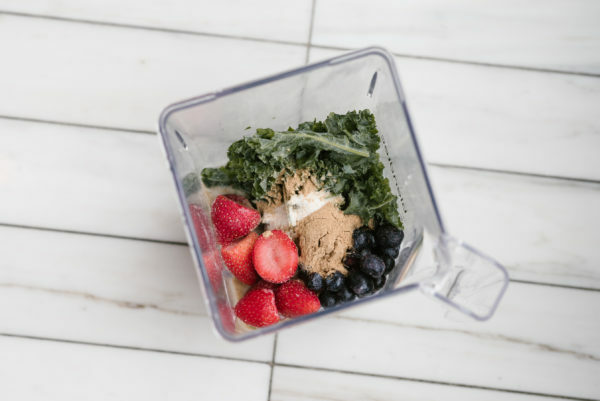 What are some of your favorite smoothie recipes? 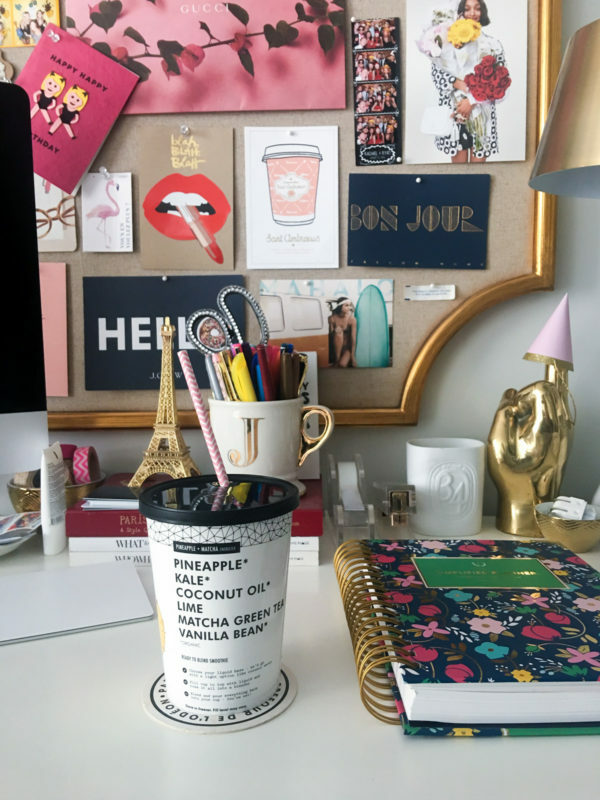 Would love to try them out and add more to my list! I can’t wait to try this out! I just bought a Vitamix and am trying out alllll the smoothie recipes I can find! I hate bananas too, and they’re always in every smoothie! I know you can sub them out, but I don’t always trust them to I’ve been wanting to try those daily harvest ones! I’ll have to give them a try. love all the ingredients, looks yum!